And so we begin! 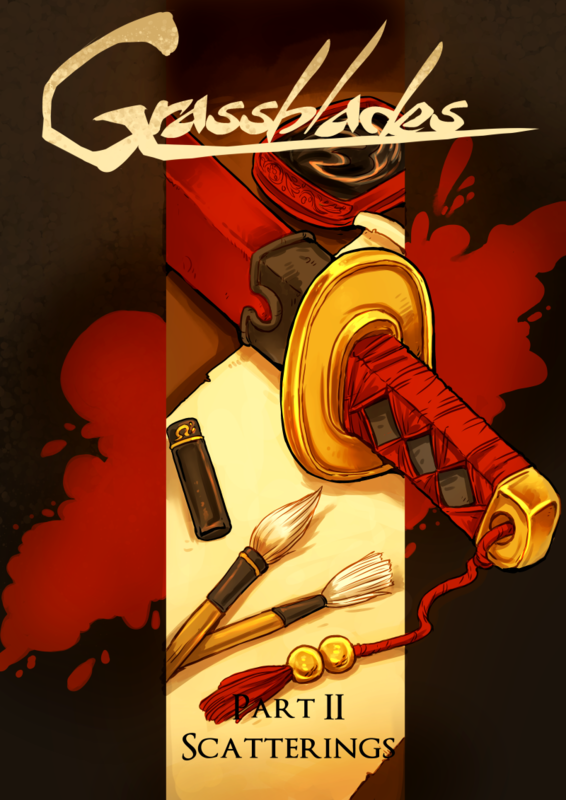 Welcome to part two of Grassblades, in which there will be further adventures of grumpy samurai and girl, more blood-soaked violence, and – shock and amazement! – the introduction of re-occurring characters who aren’t Masahiro and Akane! It’s going to be shorter than chapter one – clocking in at only 17 pages, not counting the cover-illustration – but I hope it will make up for it by being interesting and full of stuff happening. Grassblades-chapters will always be precisely as long as they need to be, and I will not be sticking to any set length – though I imagine that at 17 pages, chapter two will be the shortest chapter of the story. Less than that wouldn’t qualify as a chapter, really – more of an interlude. Awesome cover! 🙂 Looking forward to this chapter! I like the title, though–it’s mysterious!